I debated for quite some time as to whether I was going to continue this series; I loved FULL BLOODED, book 2 was decent as well, but 3 was the beginning of JESSICA MCCLAIN’s downward spiral, and although I enjoyed the first half of RED BLOODED, the second part convinced me to throw in the towel. I liked the world-building as far as Hell was concerned, and was happy that Jess’ wolf played a larger role in this installment, however the insta-mastering of powers reared its ugly head again, and the incredibly predictable Lili outcome knocked my opinion of the heroine’s intelligence down by several pegs. For me, RED BLOODED was pretty much split right down the middle good / bad wise which is why I am giving it three stars. The demon realm was by far my favourite aspect of this novel because we got to meet a bunch of new beasties (i.e. Chupacabra, demon piglets, wyverns, orthus, etc), and discovering an author’s version of Hell is always entertaining. I wish that Carlson would have let her imagination run a bit more rampant—evil glamoured to look like humans in a sterile environment was rather boring—and, I would have preferred to have had the food assembly line angle wrapped-up. It felt like something horribly disturbing was about to be revealed, but instead readers were left hanging. I’m guessing that the piglets were their food source; however that was never actually specified. I liked that McClain’s wolf was at the forefront of this story because that was one of my main complaints about the previous book. How a heroine can be a werewolf, but NEVER shift is just beyond me. Anyway, I was disappointed that the lupine aspects mostly revolved around internal conversations instead of physical manifestations, but again, at least Jess’ furry side WAS acknowledged. I was also happy that we got answers as far as the prophecy / Cain myth were concerned, although the heroine once again gains a crapton of abilities in mere seconds. I get that it’s her destiny, and that her ancestors have set a precedent of this, however character growth is VERY important in Urban Fantasy, and this series is severely lacking in that respect because of the insta-mastering. 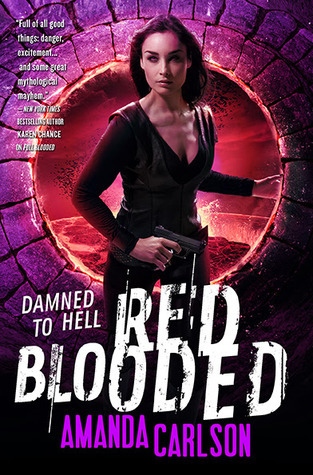 RED BLOODED began on a high note, but then abruptly shifted gears around the halfway mark which only served as a reminder of how far this series has strayed since books 1 & 2. I personally do not care for this new direction, and as a result will not be following JESSICA MCCLAIN’s adventure any further. I really liked FULL BLOODED, but the rest of this series has yet to live-up to book 1’s potential, and considering we’re now at the fourth installment that’s kinda telling IMO. I hate to hear this. I’ve loved the Jessica McClain books from book one. I’ll agree with you that it was the best of the series, but I didn’t dislike the other books as much as you. I have yet to read this one because I was hoping for an audio version (the narrator for books two and three was really good), but it doesn’t look like that is going to happen. I’ll get this on my reading list soon. Thanks for your honest review, as always. I usually give werewolf books an extra star just for having my fav supe in it, so I’m sad to say that RED BLOODED just didn’t do it for me. It is sad to see when the first book is by far the best. So disappointing. It breaks my heart having to give a werewolf novel 3-stars, but it is what it is, right? Hi Carmel! I often find something in your reviews that I wish I would have written in mine. You’re so right about the demon cafeteria! It could have been something really impactful if Jessica had followed it all the way to the beginning, but you just get bits and pieces and it doesn’t mean anything. I wasn’t sure if I missed something, or what, so I’m happy that you thought that aspect fell short as well. It just… stopped. Not a good sign for me then, couldn’t even finish the first of the series. Got sucked in by a pretty cover and then…nope. If the first installment didn’t hit its mark with you, then yeah, it’s probably best that you stay away from the rest of ’em. I was SO hoping that Carlson would bounce back, but alas… You’re right though, at least I now have an extra series spot to fill on my TBR. This is a series that I almost started and a friend warned me that I would get frustrated with the love triangle so I shelved it. Everything your review said makes me think I would have gotten frustrated with more than the love triangle. hmmmm then I wonder what she was talking about. I will have to ask her. Granted I am super sensitive to hints of triangle so maybe that was it. However, it sounds like even if there wasn’t then I would be far more annoyed by other things. *sigh* Tis ok though since my TBR is PLENTY BIG! I’m with you on this, Carmel! I really liked the worldbuilding and the demon realm was quite interesting, but I was annoyed by the same things you were. It was quite disappointing. I don’t know how I feel about this series now. It was a favorite until this point. This installment seems to be getting 3-stars across the board, so deciding whether to continue or not is definitely a tough call. I recieved the first two books and I havent’ gotten around to reading them but after all the lackluster reviews I have read for the latest books, I am thinking I am going to pass on this series, too bad since it started out with such promise. Heidi recently posted…Something Wicked Strikes Day #6: Sweet Unrest by Lisa Maxwell: Guest Post, Review and Giveaway! That’s a judgement call you’ll have to make; the earlier novels aren’t bad, however if you’re OCD about finishing a series this one might not be for you. Maybe one of this days I’ll try book 3 and see if Ms. Plummer can move the story up a notch. I thought about listening to this one to see if the narrator made a difference, but Jennifer told me she wasn’t great. I didn’t know about the switch-out at book 2 though. Too late now! Well, it seems that this will be one of those series that I won’t be adding to the list. Sometimes series lose steam and we’re not involved enough to continue to give it another try hoping for improvement! Sorry to hear this wasn’t better for you Carmel, great review! Pili recently posted…Crushed by Eliza Crewe Blog Tour: Review!! I have a difficult time giving up on ANY author’s werewolves, however in this case it’s warranted I think. Oh wells. I agree with you, but I think hope springs eternal with me. I keep hoping we will get back to the goodness that is #1 and #2. However, in truth my hope is not eternal so in a couple of more books and I may quit as well. Melissa (Books and Things) recently posted…Animal Welfare Week: Author Guest Post and Giveaway! You’re a trooper, Melissa! I was so angry at myself for getting suckered into this one that I refuse to fall for it again. Maybe if reviews for 5 are AWESOME I might reconsider. I’ve read the first two books in the series, and keep seeing around this rating for book 3 and 4. Might put off reading them for a bit. lol it’s not just you. 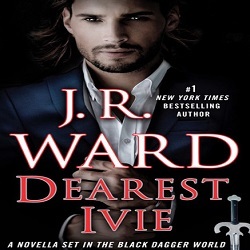 All of the reviews I’ve personally seen from reviewers that like the same books I do have not enjoyed this one as much as they did the first two books in the series. Sad to hear that since I just started the series, but glad I know it going in. It’s good to be forewarned, especially in a case like this. It’s such a bummer when you invest in a series, but it just doesn’t hold up after awhile. I don’t think I’ll be reading this one. It is indeed, especially when the earlier books had SO much potential. Oh that’s always sad to see with a series. I’ve got book one somewhere I think but just haven’t had the urge to read it yet. Ha! Well in that case, my review probably really discouraged you. That’s too bad, because FULL BLOODED is a keeper. I like the series a lot and I was so sad while reading this one because for me it was the less good of the series. Too long, not that interesting even if in the end I liked it. It was better for me when all the characters were here. But we’ll see with the next one. I definitely felt the lack of secondary characters too, however even if Carlson fixes that in book 5, this series has reached the point of no return for me. I haven’t read this book. Like you, I loved first book, liked second and was on the fence about third one. My sister is the one that reviews this series for my blog and she read Red Blooded and didn’t liked it and it’s very saddening because Full Blooded was the book that got her into reading UF. I know I’ll read it… someday, but it won’t be anytime soon. Will I read next installments… I don’t know, I have to wait until I read this one to decide. I didn’t realize that your sister reviewed on your blog! I’m going to have to pay closer attention now because I thought it was all you. She only reviews couple of series, this is one of them. That’s just the way things go sometimes, I wish it wasn’t so, but what can ya do? Move on I guess. Yikes – almost every review I’ve read says the same thing. I didn’t love the first book so I guess I made the right choice in not continuing. Maybe it will pick up again with the next installment. At least we’re consistent among reviewers. I thought I was an abnormality at first, then I visited GoodReads. Such a bummer! Well, you gave it the ol’ college try, huh? It’s a shame that this series didn’t live up to its potential. But you stuck it out this far giving Carlson the benefit of the doubt, so kudos to you for that. The world building does sound fascinating but the lack of character development would be a huge minus for me, as well. Great review, Carmel! I gave it my all, and really tried to give this one a chance, but once the eyerolls started I knew Jessica McClain was toast. Here’s another one that I haven’t read. Sorry to hear you didn’t care for it because after reading what it’s about and seeing the cover which really pops with those colors, I had high hopes for this one. Me too, at first glance everything appears to be on the up-and-up, but once you dive into the meat of the story the tune quickly changes. So many werewolf books this month – you must be pleased, even though this one was disappointing. I agree completely about character development: without it, most UF is just subpar. The whole Lilith thing kills me…talk about assuming your readers are dumb dumbs. Sounds like calling it quits with this series is the right choice for sure. There are too many wonderful series out there to continue reading ones that you don’t enjoy! There are werewolf books every month, you just have to know where to look. But yeah, this one wasn’t the best that this genre has to offer. Le sigh. I definitely wanted more shifting and more werewolf focus in the previous books (really, how can you be a were who never shifts?!? Such a disappointment!). Was hoping for a 4-star read but three’s pretty good…I’ll have to read it soon! I really don’t get the no shifting thing; it’s a huge oversight IMO. Three is good, but not enough to justify me giving the next installment a chance. Sorry to hear that this series is going downhill for you! That is a disappointment. Full-Blooded is still on my TBR mountain, but moving ever further down the list after reading your review! I love that you call your TBR a mountain! Full Blooded was hands down the best novel in this series. I still want to read the series, but it’s hard to get all excited about it when you hear that the series goes downhill. Oh, well!